Yet a significant challenge, little discussed, is that free-download sites (ranked among the top ten sites in Georgia) may get the public to form the expectation that content is always for free. This expectation is a very significant risk to the media business in Georgia which needs to convince the public to pay for quality content. Intellectual property concerns, while not on the agenda right now, will soon become relevant. While newspapers have limited circulation, not all of it is a matter of cost. 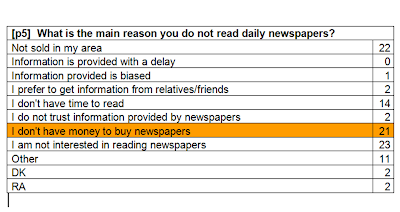 Only 21 percent say that they don't read newspapers because they are too expensive. 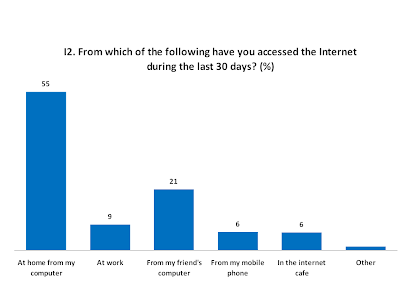 Twenty-three percent say they currently are not interested in reading newspapers, and 22 percent that newspapers simply are not sold in their area, implying that there are some potential customers that could still be won over. Again, the prices that different groups would be willing to pay are also available. As for television, consumers clearly say they want quality coverage, delivered professionally. This seems important in attracting and retaining viewers. However, television is used in different ways by different groups. 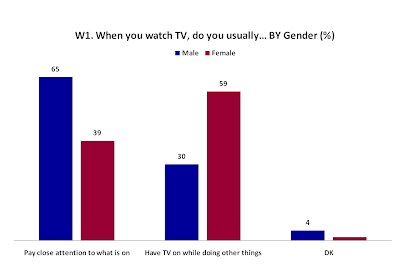 When switching on TV, the majority of men (65 percent) actually watch, while the majority of women (59 percent) use it as a kind of radio, running the TV while engaging in other tasks. Current TV advertising does not seem to popular, with almost 80percent saying that they usually switch channels if there's a long block of advertising. These are only some data points, and that much more targeted data can be made available if media professionals or researchers are interested in finding out what the audience wants.